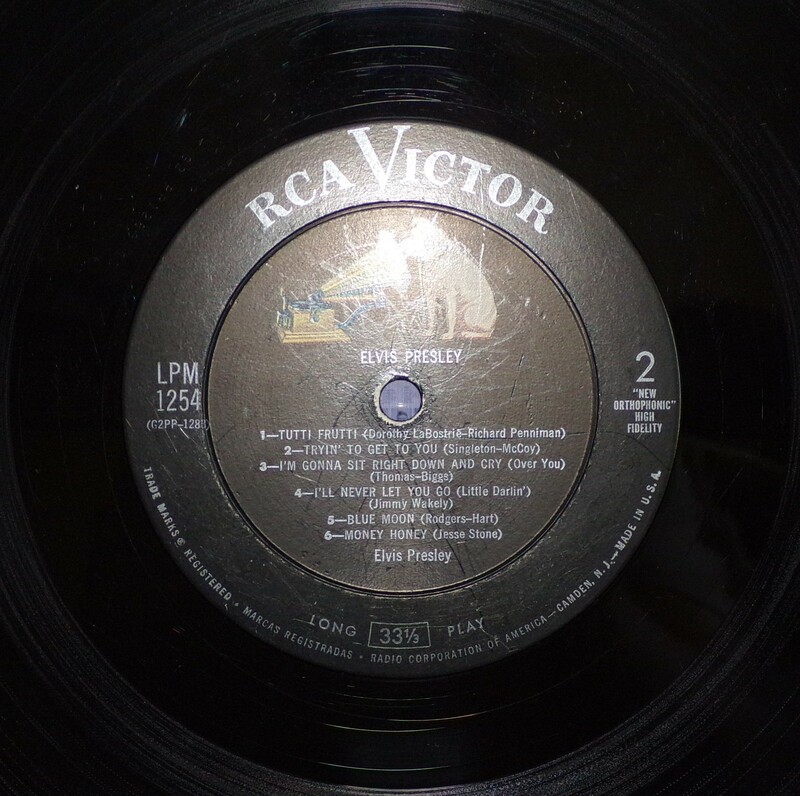 Elvis Presley is the debut studio album by Elvis Presley. 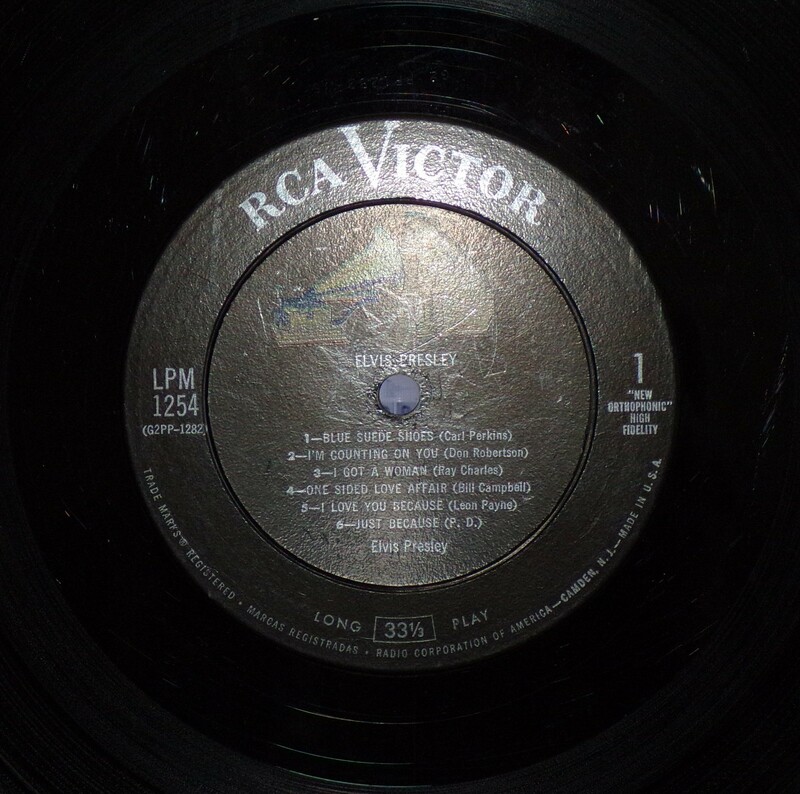 It was released on RCA Victor, in mono, catalogue number LPM 1254, in March 1956. 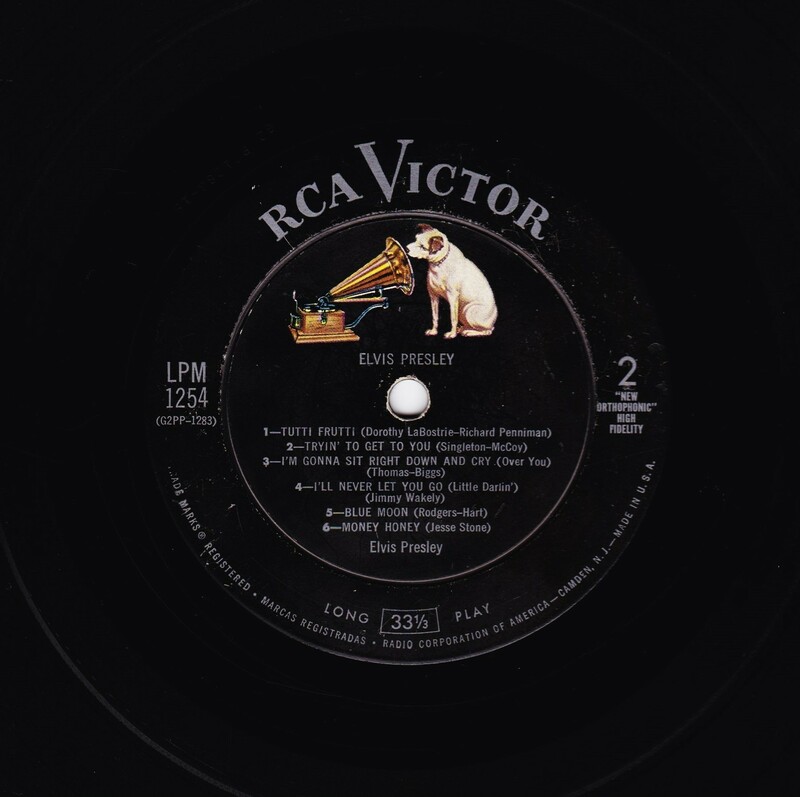 The recording sessions took place on January 10 and January 11 at RCA recording studios in Nashville, Tennessee, and on January 30 and January 31 at RCA studios in New York. 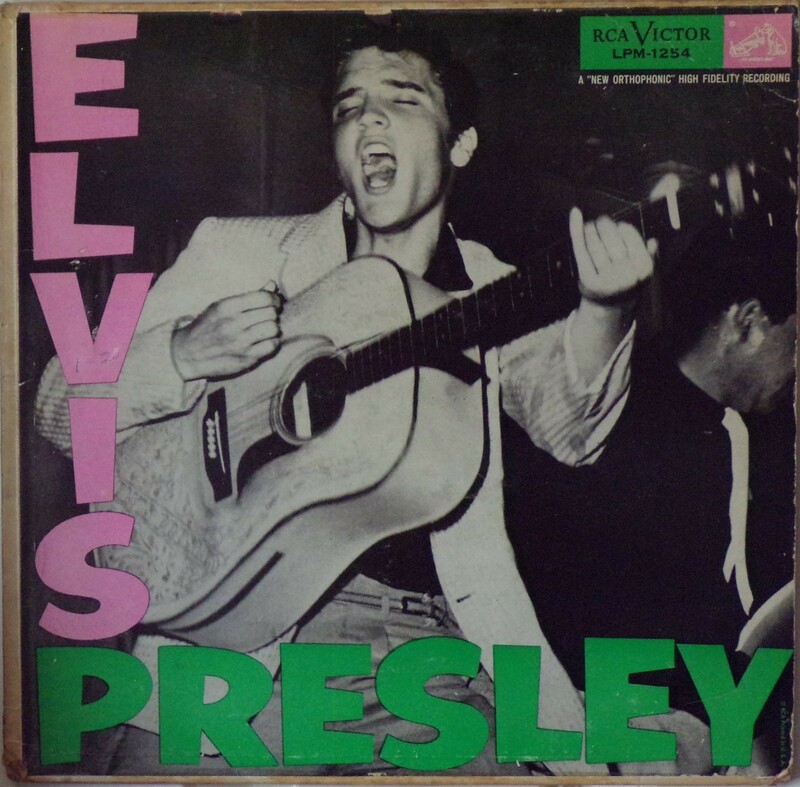 Additional material originated from sessions at Sun Studio in Memphis, Tennessee, on July 5, August 19 and September 10 of 1954, and on July 11, 1955. 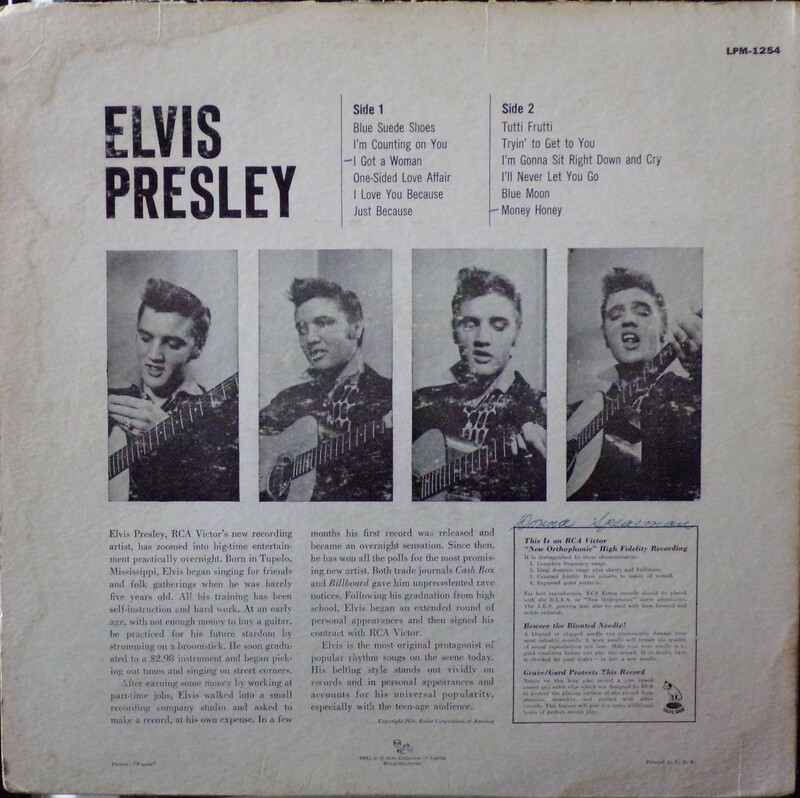 The album spent ten weeks at #1 on the Billboard Top Pop Albums chart in 1956, the first rock and roll album ever to make it to the top of the charts. It also has the distinction of being the first million-selling rock and roll album. In 2003, it was ranked number 55 on Rolling Stone magazine's list of the 500 greatest albums of all time. Elvis Presley was also one of two Presley's albums accoladed in the reference book 1001 Albums You Must Hear Before You Die, the other being Elvis is Back!. It was certified Gold on 11/1/1966 and Platinum on 8/10/2011 by the R.I.A.A. 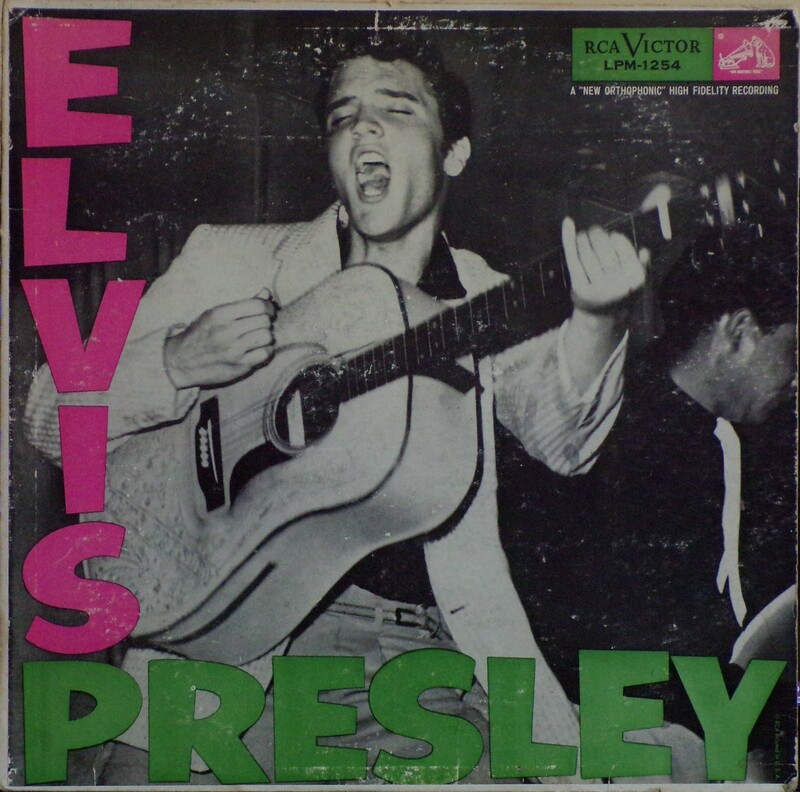 Front Cover : Elvis in light pink. Presley in dark green. Catalogue number top right in light green. Logo top right in light pink. ​Rear Cover : 4 black & white photos of Elvis. Catalogue number top right. Bottom left has "Photo : Popsie". 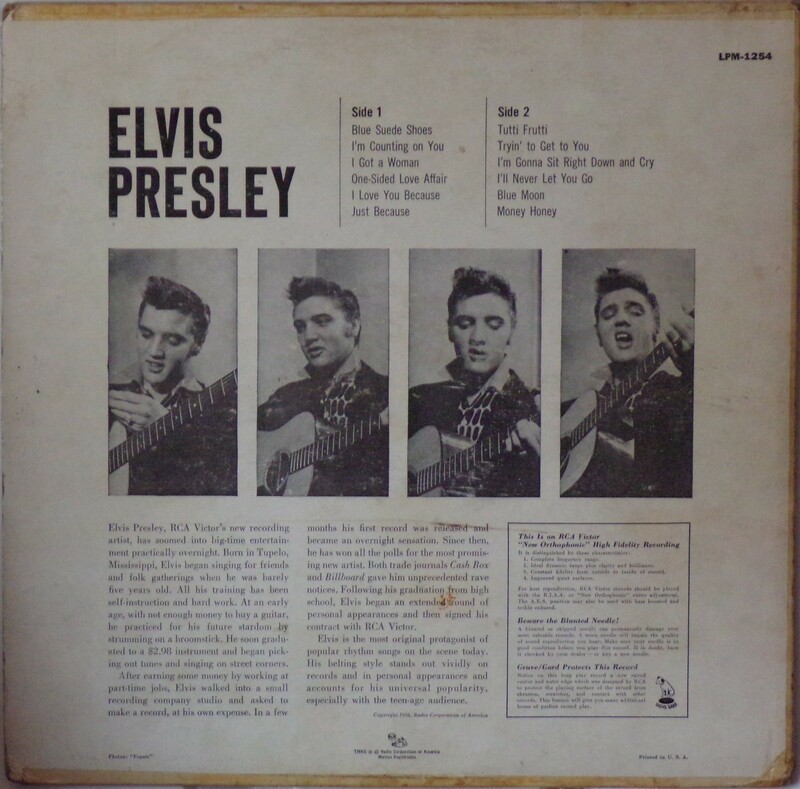 Bottom right has Printed in U.S.A.
Front Cover : Elvis in dark pink. Presley in dark green. Catalogue number top right in dark green. Logo top right in dark pink.